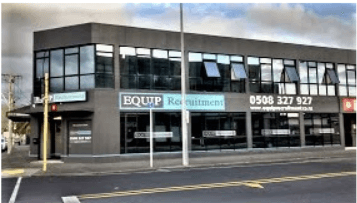 EQUIP has worked hard to build a culture that fosters a serious attitude to Health and Safety not just from a compliance perspective but integrated into the day to day recruiting activities of our business. Our responsibilities as a person conducting a business or undertaking overlap with our customers, EQUIP’s Recruiters are trained to work closely with our clients to ensure that all practical steps have been taken to provide a working environment that minimises incidents of risk or personal injury, ill health or damage to property. We take a whole of business approach to Health and Safety, including worker attitudes and workplace culture. For all incidents where an injury has been sustained, EQUIP engage the services of a prominent Healthcare Company to manage a full triage and ACC follow up process ensuring a reduction of Lost Time Injuries and overseeing a true rehabilitation process. We will arrange to meet with you, discuss the role and what characteristics, skills and experience you are looking for in potential candidates. 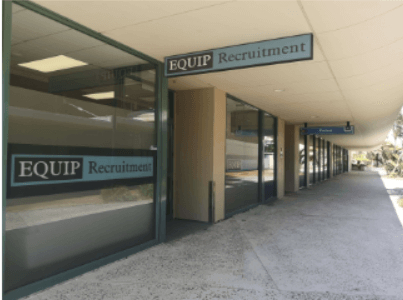 We handle all aspects of the recruitment process including advertising your vacancy, screening all potential employees, interviewing, skills evaluation, reference checks, and other necessary checks/testing as and when required. We seek to forge long term relationships and will not compromise the quality of our work to make a sale! Cnr Cuba & Jackson Street.